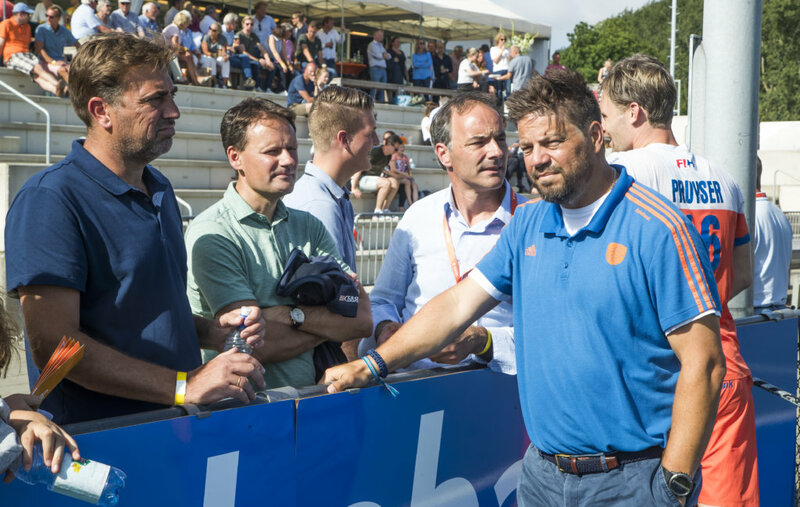 The dissatisfaction at big league-clubs about the impact of the new FIH Pro League has reached a climax in Eindhoven this week: the Oranje-Rood refused to give up internationals for the game against Spain. With the intervention of coach Max Caldas, the conflict seemed to have disappeared, but the Pro League volcano is still smoldering. What happened and how should it continue? An analysis. ‘Blackmail’ internationals against Oranje-Rood , the Eindhoven Dagblad (ED) headlined Thursday over an article by Harry Wood, president of the Foundation for hockey Oranje-Rood, his version of the Pro League affair explained. Van Hout thinks that his internationals have been put under pressure by national coach Max Caldas and the conflict between union and club has been fought over the backs of his players. The article was received with bewilderment at the KNHB. The association’s office was unpleasantly surprised by the statements made by Van Hout, because it had been agreed not to make any announcements in the press and the chairman of the foundation paints a one-sided (and incorrect) picture in the eyes of the KNHB. But officially nobody wants to respond. The union is not, the players are not and with Oranje-Rood they refer to the article in the ED. “You can put that one on one on hockey.nl,” says Van Hout. Off the record, those involved are more talkative and want to tell their side of the story. Everyone makes it clear that the intention was never to let the players suffer, but in the meantime the internationals involved are struggling with a huge loyalty conflict. But first back to last year: the moment that the playing schedule of the new FIH Pro League competition came out. Sixteen games for the Oranje Heren and sixteen games for the Oranje Dames, criss-crossing the world, in a period of six months. The big league clubs shouted murder and fire. They found that their competition – the best in the world – suffered far too much from the demands of the national teams. The HHcv, the representative body of the Dutch big league, announced that the clubs would not give up players for the Champions Trophy for women in China in October 2018. A conflict was a fact. The KNHB then rearranged the program, after which the big league clubs agreed to the playing schedule . But behind the scenes, discontent was still dormant, especially among the purveyors of the Orange teams. They think the Pro League is a monster that thwarts their competition. They are also disappointed that they are paying the players, who are increasingly being claimed by the federation. The KNHB, led by the new technical director Jeroen Bijl, therefore again consulted with the purveyor to the national suppliers in the following months to make agreements about calling up internationals during the Pro League. How would the 32-strong Orange selections be put together, what did the travel schedules look like and when did the internationals play and train at Orange? A tricky jigsaw puzzle, but at the end of September all those involved gave their black and white agreement. But the Pro League on paper appears to be a bit different in practice. It is more unruly. The Oranje Heren flew to New Zealand and Australia in January and February. Went through Spain to Argentina and ended the first phase of the Pro League with a home game against Germany. Only a few days before the restart of the competition. A few head coaches, including Alexander Cox from Kampong , expressed their discontent. They found that many internationals were tired and they barely had time to prepare their teams for the second part of the season. For the teams that nevertheless performed well, such as Kampong and Bloemendaal, the murmur faded into the background. But with Oranje-Rood, discontent grew. The team of Roger van Gent, who entered the winter break second, had a dramatic restart with only two wins in six games. With last Sunday’s 5-0 score against Bloemendaal as a low point . The certain-looking playoff ticket is suddenly in great danger. And then there is also the prestigious EHL tournament on Oranje-Rood. From April 17 to 24, six days of top hockey will be played in Eindhoven for the European club title . For full grandstands and preferably with a leading role for the home team, precisely to get those grandstands full. The tournament is important for the prestige of the Eindhoven club, but certainly also for the clubhouse. Oranje-Rood has to invest a lot to host the EHL. That money has to be earned back and in addition the club wants to keep some extra. Because so many options in a season do not have a top head class to provide the expensive household with an extra injection. Because regular league matches are accessible for free, only the play-offs bring in some extra money in-house. That is why there is stress in Eindhoven. That is understandable. Van Gent and his staff face crucial weeks, in which the focus and presence of everyone is required. But the Pro League is likely to disturb that. After next Sunday’s competition game, there is a Pro League week. For the Oranje Heren there was first a double with Pakistan and Spain on the program. But due to the suspension of Pakistan, only the game against Spain remains, on Saturday April 13 at Rotterdam. 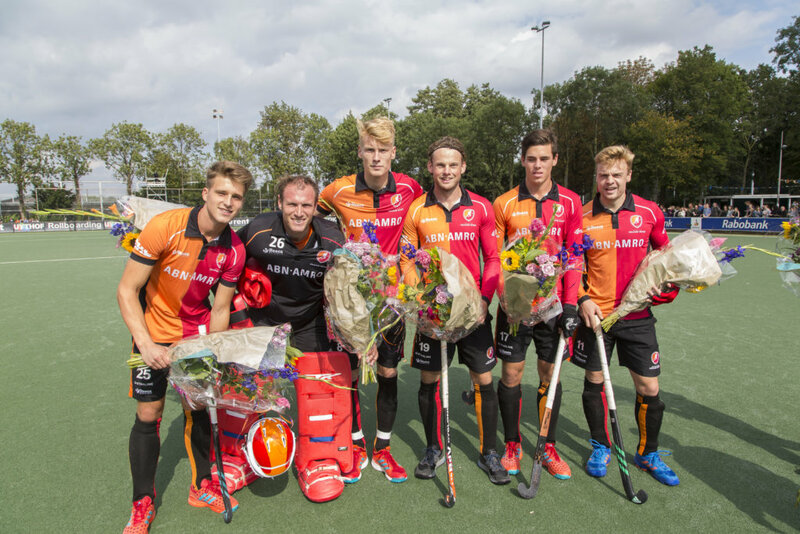 With six internationals in the Pro League selection (Pirmin Blaak, Joep de Mol, Mink van der Weerden, Teun Beins, Max Kuijpers and Bob de Voogd) there was a chance that the Oranje-Rood were only a few days before the start of the crucial EHL back in Eindhoven. An image of fear. For clubman Harry van Hout reason to intervene. He couldn’t let his club stand empty-handed, just because of the Pro League that he so abused. If Van Hout thinks his club is being wronged, he turns into a street fighter. The e-mail that he subsequently sent to the association was clear and straightforward: Oranje-Rood is not making its internationals available for the Pro League duel with Spain. A position that cannot be discussed by the KNHB. The Pro League is the highest hockey podium, on which the Dutch must compete with the world top in the strongest possible composition. In addition, the Pro League determines the place on the world ranking and is part of the route to Olympic qualification and probably also to the World Cup in the future, KNHB director Erik Gerritsen recently stated. The counter-notification from the federal office to Oranje-Rood was therefore clear: making players unavailable is against the agreements made in September, we do not agree with that. A new conflict was born. 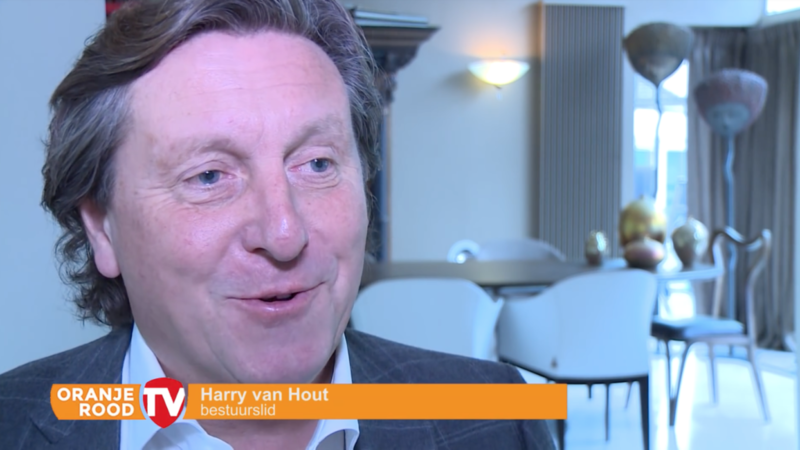 Van Hout then sought support from the other main suppliers of Orange: Amsterdam, Bloemendaal and Kampong. Kampong did show solidarity in the first instance, as confirmed by various parties. Van Hout, who has been around for many years, subsequently relied on an appointment from around five years ago. In it, the big league clubs had agreed with the KNHB that a week before the EHL no players would be called up for the Orange. But that was before the Pro League era and Van Hout did not mention this at all during the meeting in September, those present say. There was growing irritation at the federal office about the attitude of Oranje-Rood, with which there was already disagreement last season. On the important Fandag for main sponsor Rabobank, the players of Oranje-Rood were missing at the last minute. As the only club. “With a double on Friday and Sunday in the same weekend, the load is too great,” they found in Eindhoven. In the meantime, national coach Max Caldas started to worry. 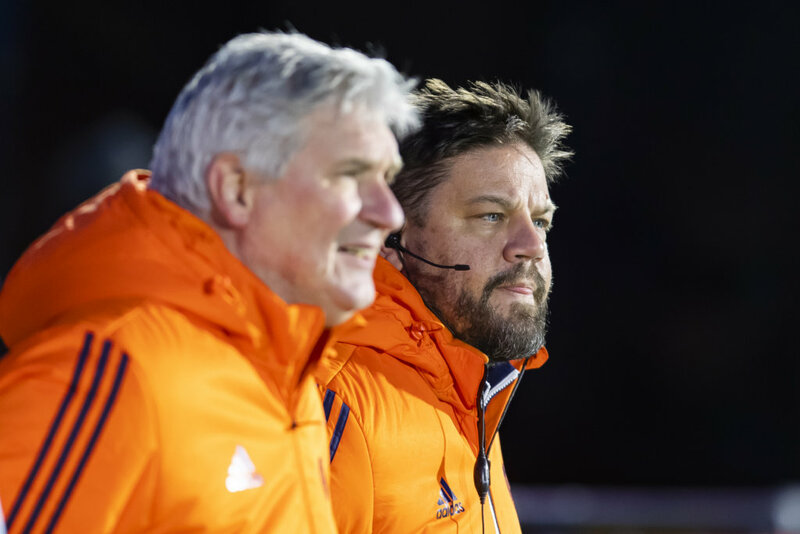 He had already announced in connection with the EHL that the players of participants Amsterdam, Kampong and Oranje-Rood should be spared as much as possible in the selection for the game against Spain. But putting together a team without players from those teams was not possible. If only because the Dutch desperately need a win over Spain to keep an eye on the first four places that give access to the Grand Final in Amsterdam. Caldas then went with his manager Joof Verhees to Eindhoven where they had a meeting with the six internationals of Oranje-Rood in a hotel. The players were given an explanation about the situation that arose, because the national coach thought they were entitled to it. During the interview it was indicated that the players ‘until further notice’ would not be selected. That way, the players did not have to choose between the National Side and Oranje-Rood, was the explanation. To the question until when it was ‘until further notice’, according to the Eindhoven Dablad the players received the answer ‘Count on until the European Championship this summer’. That tournament will be played in Belgium in August. The KNHB wanted to draw a line with that hard message and send a clear signal to all clubs. The words of Caldas and Verhees did not miss their effect. The Orange-Red team made the internationals available for the game against Spain. To the relief of the players. They understand the interests of both Orange and Orange-Red, but are in the mangle without being asked. Caldas then only selected captain Mink van der Weerden and attacker Bob de Voogd and all parties agreed not to go public. With that the cold seemed to be out of the air, but within Orange-Red they were boiling with anger about the way the union was acting. The volcano erupted in the Eindhovens Dagblad. ‘It’s crazy to say what happened. Pure blackmail, a threat. Simply outrageous, “Van Hout fulminated. The KNHB does not comment. “The conflict has been resolved. It has been agreed that there will be contact between the parties involved after the EHL at administrative level, “says a spokesperson. With a positive surprise, Gerritsen may be able to calm the Pro League volcano in the Netherlands. But the danger of an eruption remains.